W.A. Dwiggins is known as the grandfather of modern design. 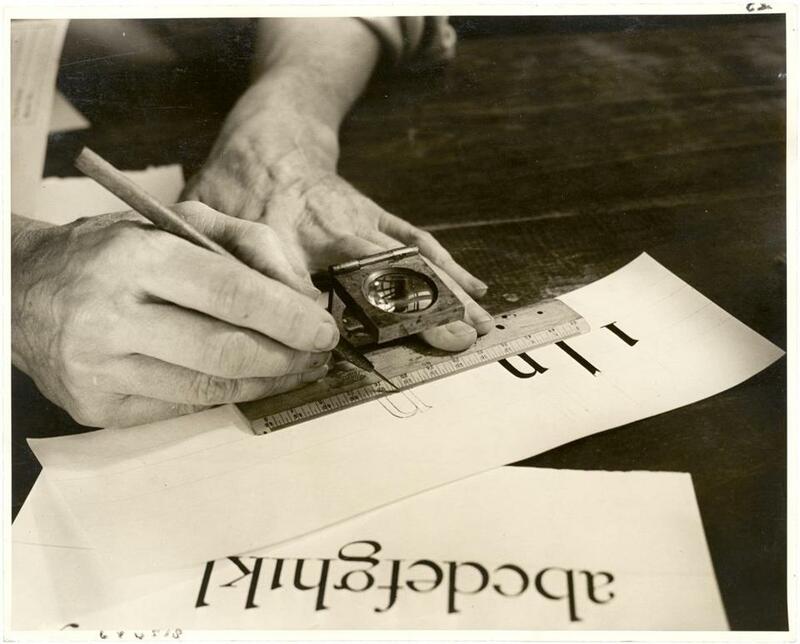 At work in Hingham during the first half of the 20th century, Dwiggins was a calligrapher, a book designer, an illustrator, a marionette maker, and a lettering artist, creating more than a dozen typefaces, including Electra and Caledonia. Now Bruce Kennett, a teacher, graphic designer, and photographer who lives in rural Vermont, is preparing to publish a biography of the famed designer. Kennett, who has been writing and lecturing about Dwiggins for nearly 40 years, has been at work on “W.A. Dwiggins: A Life in Design’’ since 2003. It will be the first publishing project for Letterform Archive, a San Francisco-based nonprofit. A Kickstarter campaign to help fund the book will run through April 28, and finished books will be shipped in October and November. “W.A. Dwiggins’’ includes 1,200 full-color illustrations, all meticulously reproduced. Kennett calls the book “a working tool” for anyone concerned with color, form, composition, and draws heavily from archived material from Letterform Archive as well as the Boston Public Library. The protagonist of Larry Constantine’s thriller “Bashert’’ (Gesher) is a graduate of MIT’s class of 1967, and the story swirls around the college’s rich tradition of the ambitious, outrageous student stunt, this one going very wrong at a time when Israel appears on the international stage as a nuclear power. For the true-life class of 1967, it seemed a fitting addition to a time capsule that they’ll bury this spring at their 50th reunion, to be opened 50 years from now. Besides the book, the class is also packing away an issue of The Boston Globe on the Kennedy assassination, a copy of a 1965 BBC film called “How To Be First’’ about the school and its students, as well as a draft card, a slide rule, and dozens of other items. Constantine, a retired professor who lives in Rowley and has written fiction under the pen name Lior Samson, has published a number of books, including the six-book Homeland Connection series, of which “Bashert’’ is the first. The title means “fate” in Yiddish, and it would appear that a much longer shelf life is in the book’s future. Created for the Cornell Lab of Ornithology, “On Duck Pond’’ is a lovely, meditative new children’s book by writer and poet Jane Yolen, a Hatfield resident, and illustrator Bob Marstall of Easthampton. With elegant illustrations of turtles and tadpoles and birds, “On Duck Pond’’ tells the simple story of a flock of ducks swooping in to make a ruckus on a calm pond, disrupting the stillness and jarring the other creatures. “Old Duck Pond, once still and quiet,/ Now seemed battered by the riot.” The ducks finally quiet, the pond calms, and the wild things return. A section at the end of the book gives information on all the types of birds found in the illustrations. Think Annie Dillard’s “Pilgrim at Tinker Creek’’ for the very young.